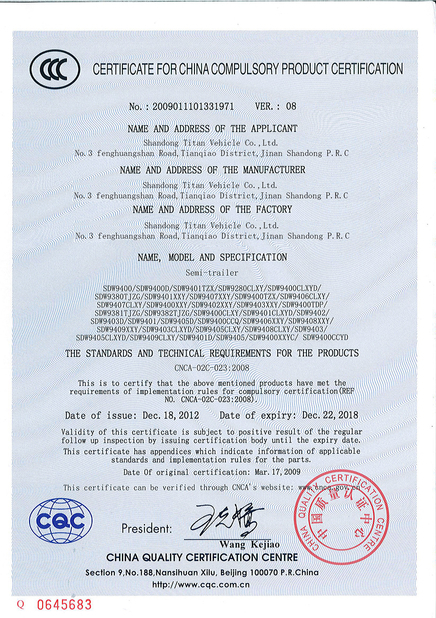 Modular Trailer is one model of hydraulic Axle trailers. A loading platform is available in different modules or configuration, having multi Axle unit connected by a hydraulic suspension. Hydraulic hoses are fitted throughout the trailer to facilitate the hydraulic function from the respective tank by adjusting the different control valves. 1. Designed carrying capacity is more. 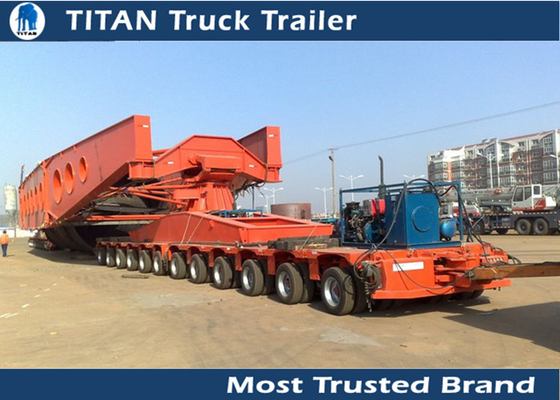 It can be used to carry any type of load as long as the roads & bridges can bear such weight. 2. Equally, distributes the load on each axle, thus increasing the safety to cross the Bridge. 3. 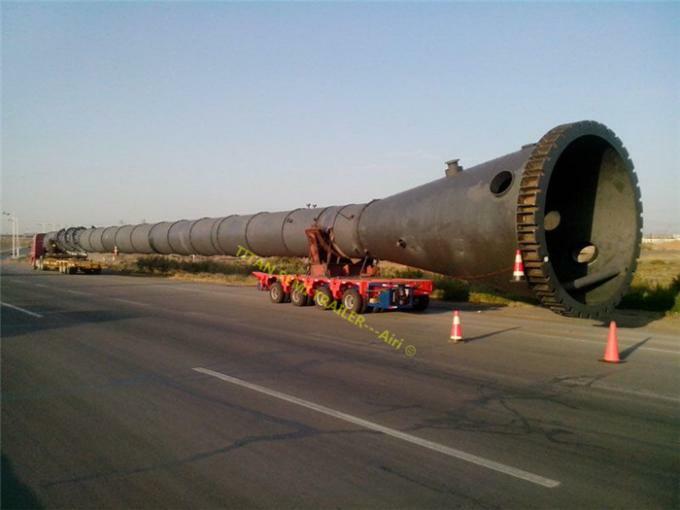 It Can be increased by lengthwise as well as widthwise to load the consignment based upon its size and weight. 4. It maintains the stability of loaded consignment even on gradient, sharp curves, up & down, hump dip etc. because of hydraulic compensation. 5. Can be raised or lowered +/- 300mm from the normal driving height of 1175mm, which also facilitates loading and unloading of consignment without using crane and to pass through overhead structures. 6. Axles can be steered independently, thus giving better turning radius. 7. Tire pressure can be increased to maintain required contact area. 8. It can be moved in both directions. Thus facilitates to negotiate very sharp turn particularly at Y – junction and unloading sites. 9. Possibility of utilization by means of additional attachments with respect to load and size of consignment viz. Girder Bridge, low deck carrier and bolster for long loads. 10. 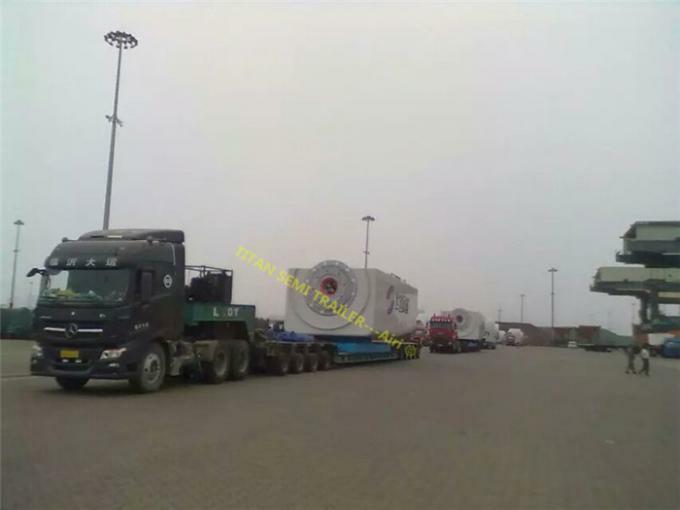 Ensures stability of cargo at the time of loading. Titan Modular trailer is specially designed and manufactured By Titan Vehicle Company. 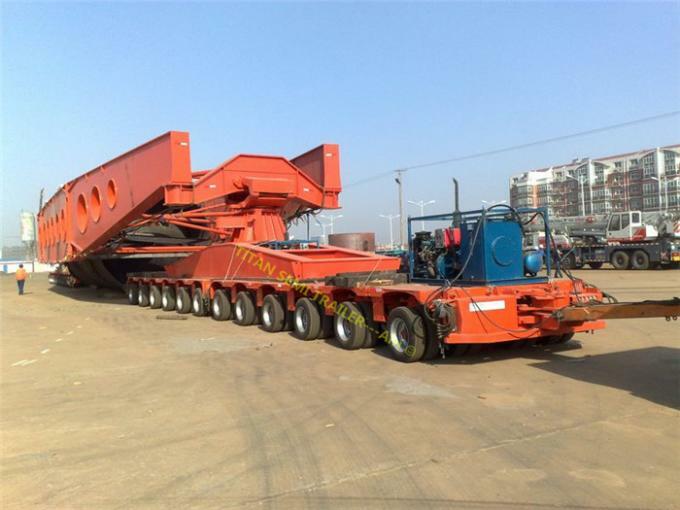 The most popular mode is 150tons and 200 tons multi axle trailer. 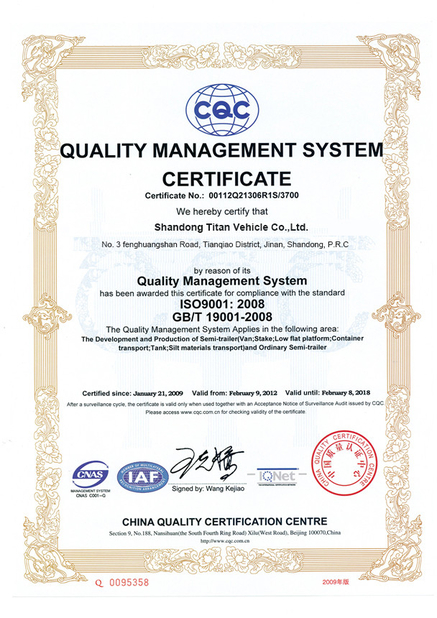 They are sold well to more than 30 countries commended by the customers for the high quality and good service.